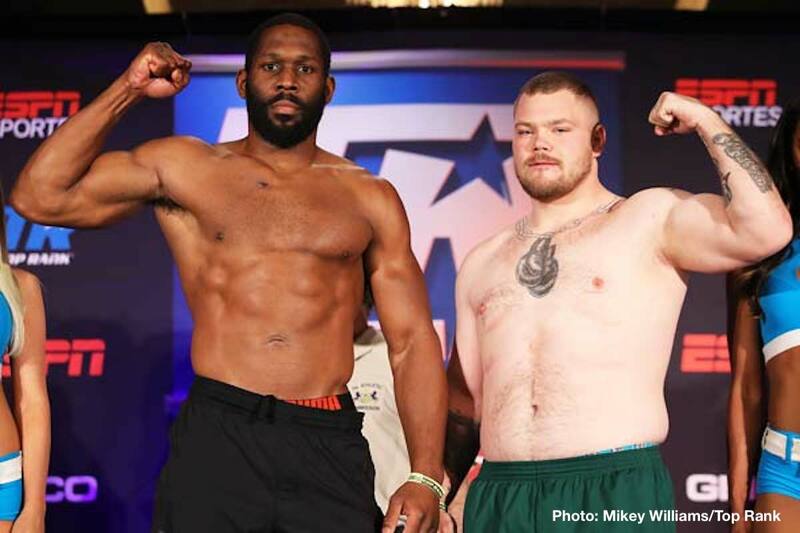 Last night in his home town of Philadelphia, heavyweight contender Bryant Jennings both avenged an earlier amateur loss and picked up Philly bragging rights with a lopsided decision win over Joey Dawejko. The fight, which had its fair share of trash-talk and needle beforehand, turned out to be a relatively easy and straightforward win for Jennings. Winning by commanding scores of 98-92 on all the cards of the judges and now 23-2(13) 33 year old Jennings also picked up the vacant Pennsylvania state heavyweight belt. 27 year old Dawejko, who beat Jennings as an amateur in what was just the third amateur fight in the career of “By By,” falls to 19-5-4(11). Jennings was pretty much in total control for all ten rounds, using his effective jab and also going to the body of the shorter man. Jennings said he was not going to take any unnecessary chances, especially late on in the fight while Dawejko said after the bout how he “should’ve picked it up a little more.” In terms of punches landed, Jennings was way ahead. It wasn’t a great or thrilling fight by any means but it was a useful win for Jennings. Beaten only by Wladimir Klitschko – in Jennings’ sole world title shot, Klitschko being taken the full 12 rounds in 2015 – and by Luis Ortiz – Ortiz being the only man to have stopped Jennings – the Philly fighter has now won four in a row. With Top Rank promoting him, Jennings figures to get himself another big fight opportunity sooner rather than later. It will prove interesting to see who this big fight comes against. Jennings against the likes of Jarrell Miller (if Big Baby doesn’t get the Anthony Joshua fight), Ortiz in a return meeting (if Jennings wants to take the risk) or even the returning Tyson Fury would make for intriguing and potentially exciting fights. A number of big-name heavyweights, including the reigning champions, are busy for the coming months, but as long as he keeps on winning Jennings will eventually get another chance.